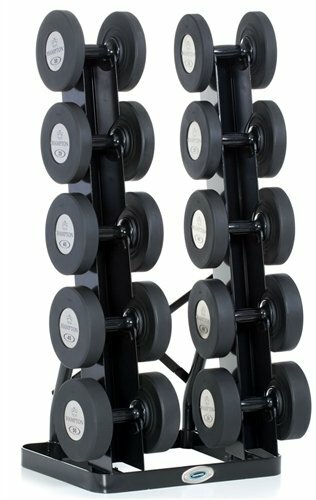 V-TT-5 Features: -Vertical rack.-Space-saving design.-Ideal for studios or home use.-Optimal for personal training and home use.-Twin-tower.-Holds up to 5 pairs of any style dumbbell up to 75 lbs. Dimensions: -Overall dimensions: 34'' H x 22'' W x 28'' D.
If you have any questions about this product by Hampton Fitness, contact us by completing and submitting the form below. If you are looking for a specif part number, please include it with your message.